Amazon Web Services (AWS) introduced 13 new machine learning (ML) services and capabilities at its re:Invent conference in Las Vegas, including an AWS custom-designed chip for ML inference called AWS Inferentia, as well as two new services to help companies manage business transactions requiring full auditability: Amazon Managed Blockchain and Quantum Ledger Database (QLDB). 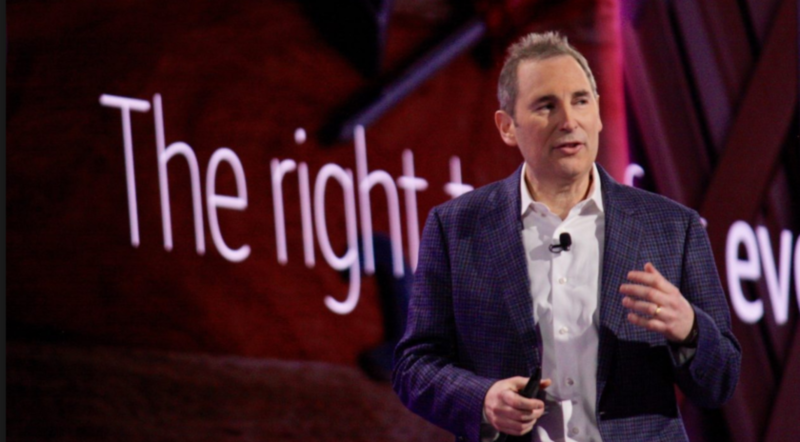 In announcing Inferentia during a Nov. 28 keynote, AWS CEO Andy Jassy said it’s a high-performance ML chip the company will make available in late 2019. The main goal of the chip was to try and “change what is the big driver of cost for our customers doing machine learning, which is inference,” he said. The chip was developed, he said, by Annapurna Labs, the Israeli chip maker that Amazon bought in 2015 for $350 million. Inferentia is designed for “larger workloads that consume entire GPUs or require lower latency,” Amazon said in a news release. The chip “provides hundreds of teraflops per chip and thousands of teraflops per Amazon EC2 instance for multiple frameworks” (including TensorFlow, Apache MXNet and PyTorch) and multiple data types (including INT-8 and mixed precision FP-16 and bfloat16), the company said. On the blockchain front, Jassy noted that the company was asked why it didn’t announce such a service at re:Invent last year. After all, he noted, “we have a lot of customers who run blockchain services on top of AWS and we have lots of tools for it.” But he said AWS communicated to those people last year that “we just hadn’t seen that many blockchain examples in production or that couldn’t pretty easily be solved by a database.” While some people assumed that meant Amazon had no plans to develop a blockchain service, they were wrong, he said. Rather, it just meant “we genuinely didn’t understand what the real customer need” was at the time, and – unlike some other companies – at AWS, “we don’t build things for optics – we only spend the resource to build things where we understand what problem you’re really trying to solve and then we believe we’re going to solve it for you,” he explained. Over the past year, AWS talked to “hundreds of customers” to find out why there were interested in blockchain and realized there were two main jobs they had in mind, he explained. Many of them “wanted a ledger with a centralized, trusted entity, but where that ledger served as a transparent, immutable, cryptographically verifiable transaction log for all the parties that they needed to deal with” – and that’s indeed something that many companies need, he said, noting the new Amazon QLDB was designed to solve that issue. QLDB is “a new class of database that provides a transparent, immutable, and cryptographically verifiable ledger that customers can use to build applications that act as a system of record, where multiple parties are transacting within a centralized, trusted entity,” the company said in a news release. It “removes the need to build complex audit functionality into a relational database or rely on the ledger capabilities of a blockchain framework [and] uses an immutable transactional log, known as a journal, which tracks each and every application data change and maintains a complete and verifiable history of changes over time,” the company said. Other AWS customers, meanwhile, wanted a way to allow multiple parties to transact, execute contracts and share data without a trusted central authority, Jassy explained. And the new Amazon Managed Blockchain is a “fully managed service” that AWS said “makes it easy and cost-effective for customers to create and manage secure blockchain networks that can scale to support thousands of applications running millions of transactions.” It supports two popular open source blockchain frameworks — Ethereum and Hyperledger Fabric, Jassy noted. Amazon Managed Blockchain and QLDB are available in preview form now. For more information about Amazon Managed Blockchain and QLDB, click here.